Saturday started off with shabbat morning services followed by keynote speaker Pastor Chris Harris who spoke on the power of knowing your neighbors spending time in each other’s community. 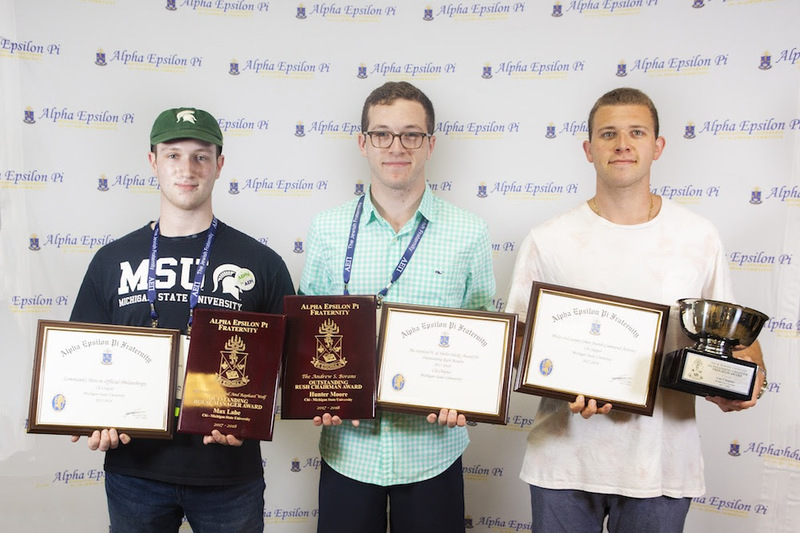 Mazel Tov to our award winners and all of the brothers of Alpha Epsilon Pi on a meaningful and productive international convention! We welcomed twelve men into the Alpha Epsilon Pi brotherhood at this morning’s Model Initiation. Mazel Tov, brothers! 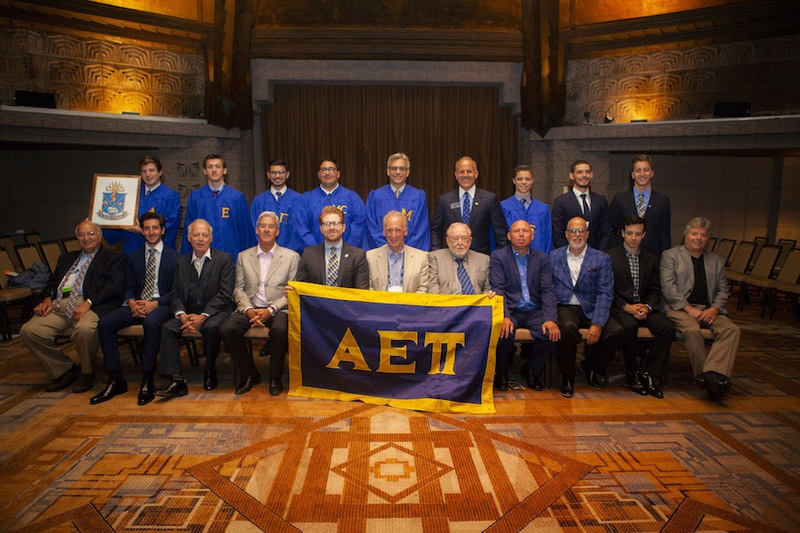 At the 105th Supreme Council, we installed AEPi’s first Undergraduate Cabinet of eleven brothers: Adam Volman (St. Andrews, 2019), Adam Tankus (Guelph, 2019), Noah Pearl (UC Davis, 2020), Graham Wall (Oklahoma, 2021), Hunter Moore (Michigan State, 2020), Spencer Thrope (Virginia Tech, 2019), Kyle Kravitz (Tampa, 2019), Sebastian Feldman (California State – Fullerton, 2019), Jay Sirot (Cornell, 2019) Jon Coopersmith (Drexel, 2020) and Ben Zieper (Emerson, 2021). 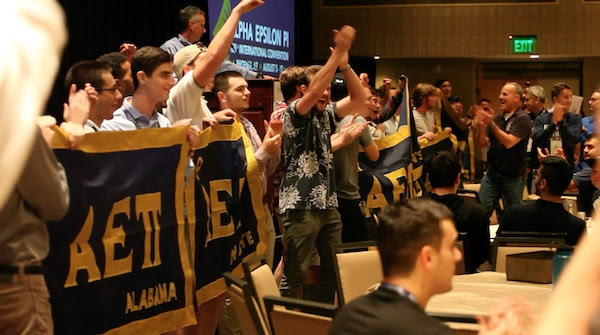 Cabinet members are chosen from each Educational Leadership Consultant (ELC) region and will serve as the voice and interest of the undergraduate brothers. Kyle Kravitz, Jay Sirot and Adam Volman were elected as the 2018-2019 Undergraduate Supreme Governors. During today’s awards lunch, we recognized all ten AEPi beneficiaries and the hard work our undergraduate brothers put in for them. We are close to fulfilling our one million dollar commitment to these wonderful Jewish organizations. Supreme Master Elect Jeff Jacobson (Northern Arizona, 1992) leads initiation of twelve new AEPi brothers. Adam Tankus (Guelph, 2019) and Adam Volman (St. Andrews, 2019) stand to be recognized as brothers of AEPi's first Undergraduate Cabinet. 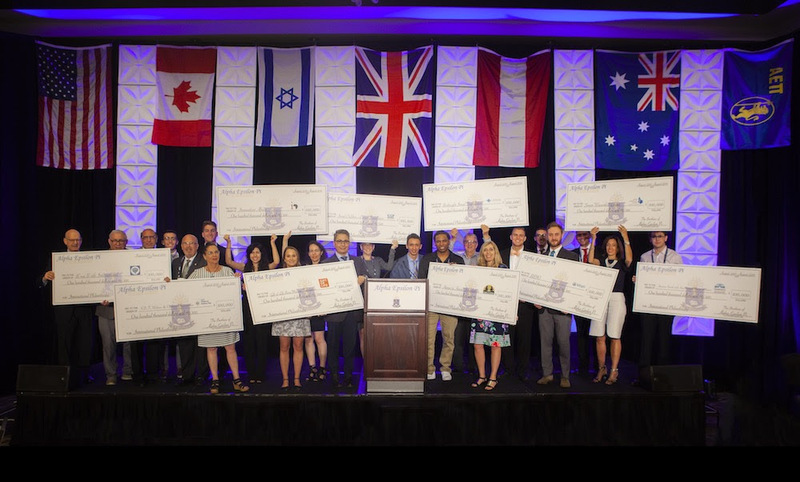 AEPi's ten beneficiaries gather on stage to be recognized at the Official Philanthropy Lunch and receive their donation check. Day of two #AEPi105 kicked off official programming. Special sessions for Pledgemasters, Chief Delegates and Rush Chairmen were offered throughout the day. Individual breakouts for Masters, Lt. Masters and Philanthropy chairs provided current and aspiring officers the tools for success. 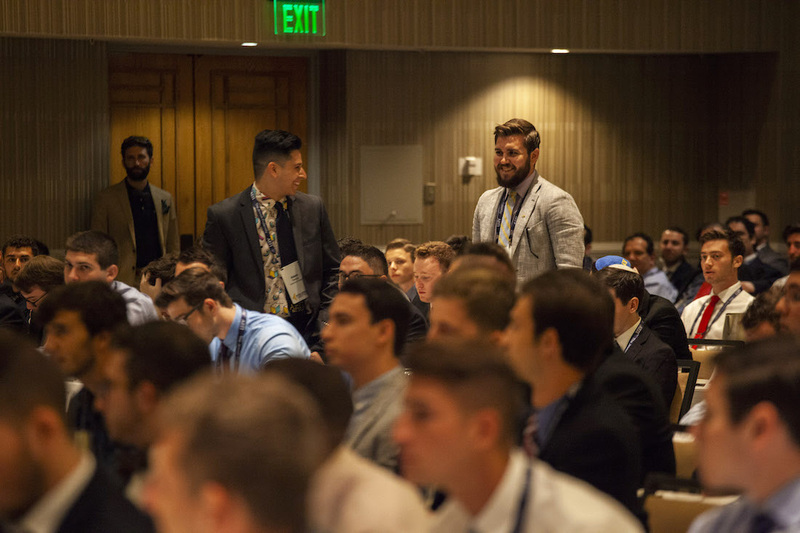 Brothers were able to choose between breakout sessions that included LinkedIn the AEPi Way, Positive Social Media, Myths & Facts for a Successful Philanthropy, Ask the AEPi Directors Anything, Budgeting, Mental Health on Campus, Motivating the Middle, Tabling, No More Trust Falls and Sexual Assault Prevention. Thank you to Congressman Eliot Engel for speaking to attendees about the U.S. and Israel relationship today during lunch. 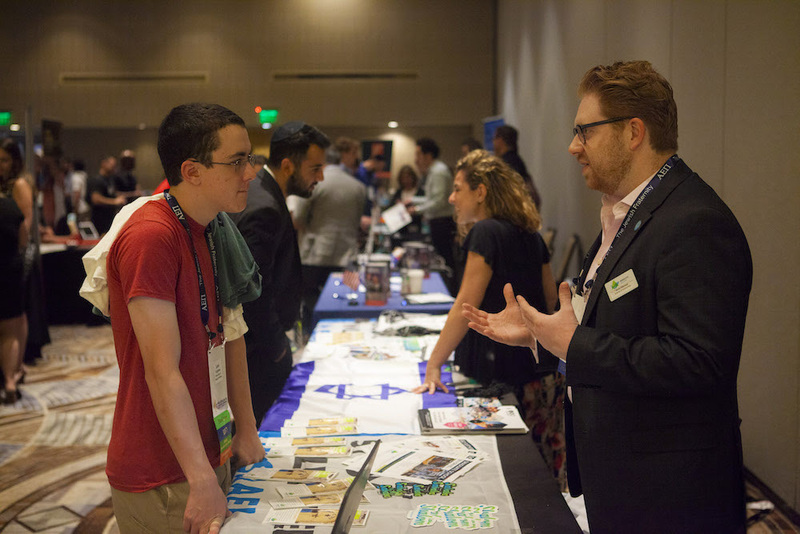 Numerous Jewish and pro-Israel organizations arrived and are spending the next two days with us at our annual Partner Fair in Mesa. These partners have the opportunity to meet directly with AEPi brothers who serve as campus leaders. Mazel Tov to the following brothers, chapters and friends recognized today in the awards room. If you have not picked up your award from Canyon, you can do so anytime before Sunday. Please note, some awards are not listed and will be announced Saturday night at the banquet. Brothers sit in for a Scribe breakout session today with Communication Specialist Perry Chencin. 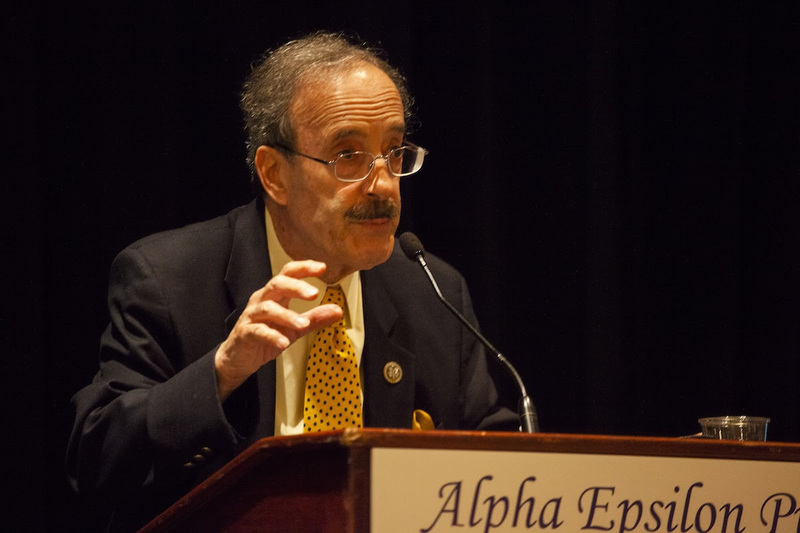 Congressman Eliot Engel addresses brothers during today's lunch. 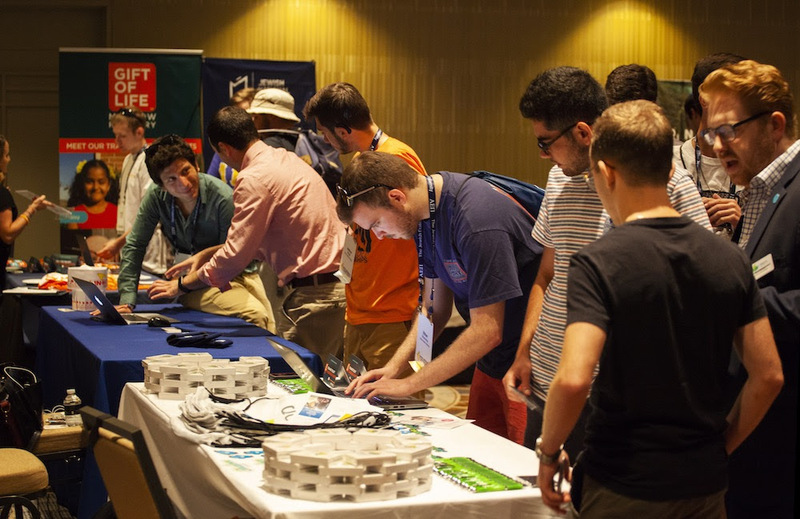 Undergraduate and alumni brothers meet with AEPi partners and Jewish organizations at Partner Fair. Michigan State brothers pose in the Canyon room with the awards they won this year. Alpha Epsilon Pi kicked off its second annual Career Day today. Brothers were able to network with more than 25 employers and organizations advertising full-time jobs, mentorships and internship programs, get a free professional headshot, craft attention-grabbing resumes and learn how to dress for success with Men’s Wearhouse. We appreciate Career Day sponsors Masa, Birthright Excel, Rockstar Coders and WDSrx. 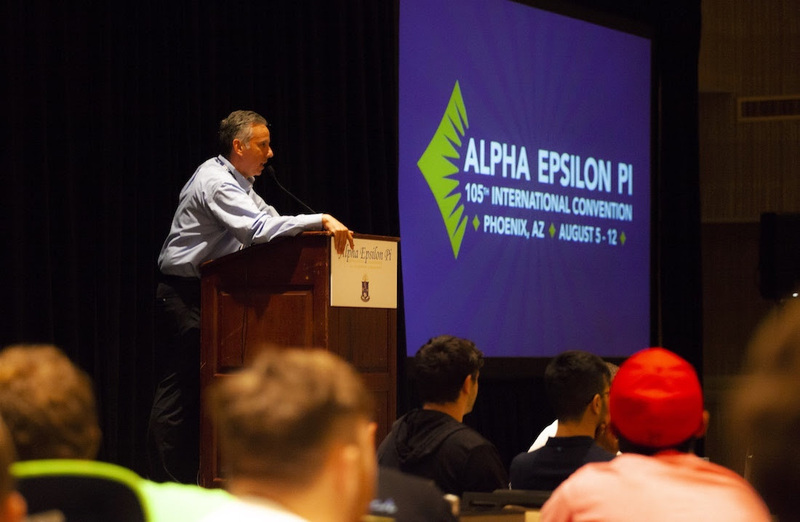 The real fun began at tonight’s 105th International Convention opening session when Jim Fleischer (Kent State, 1993) addressed all attendees for the first time at #AEPi105 as chief executive officer. 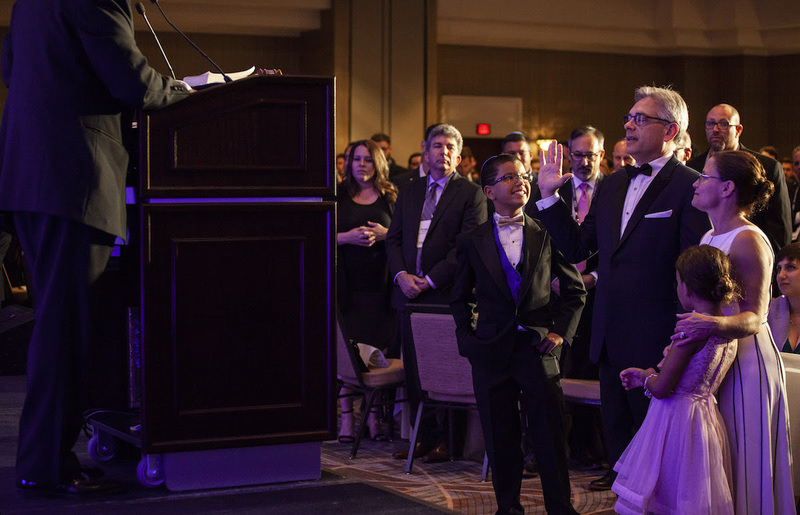 Afterward, Jim announced that eleven colonies will receive their charters: Tennessee, Bar Ilan, Illinois State, UT Dallas, App State, GVSU, Tulane, Wake Forest, Quinnipiac, St. John’s and Alabama. Mazel Tov! We are unbelievably excited for this week’s activities of brotherhood and leadership development. Take some time to meet brothers from other chapters and countries, ask questions of our volunteers and staff and, most importantly, have fun! Make sure you take advantage of all the programming we have planned for you this week by downloading this year’s AEPi 105 mobile app. 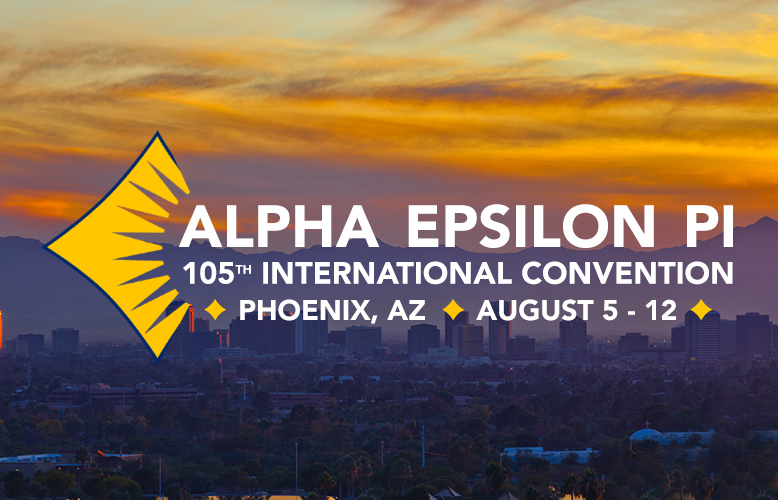 Share your 105th International Convention experiences with the hashtag #AEPi105 and tell us why you’re #ProudtobeaPi.